El 58 is a beautifully decorated restaurant with a hip yet welcoming vibe located on Rambla del Poblenou, a picturesque boulevard that is not to be confused with the worldwide famous “las Ramblas” located in the Gotico neighborhood. El Poblenou is an interesting area that we need to explore further since it’s relatively far away from where we live, but based on our experience at El 58, it’s safe to say that we’ll go back very often. We went there on a Thursday evening to try eat some tapas and we were shocked by amazing quality of their food. 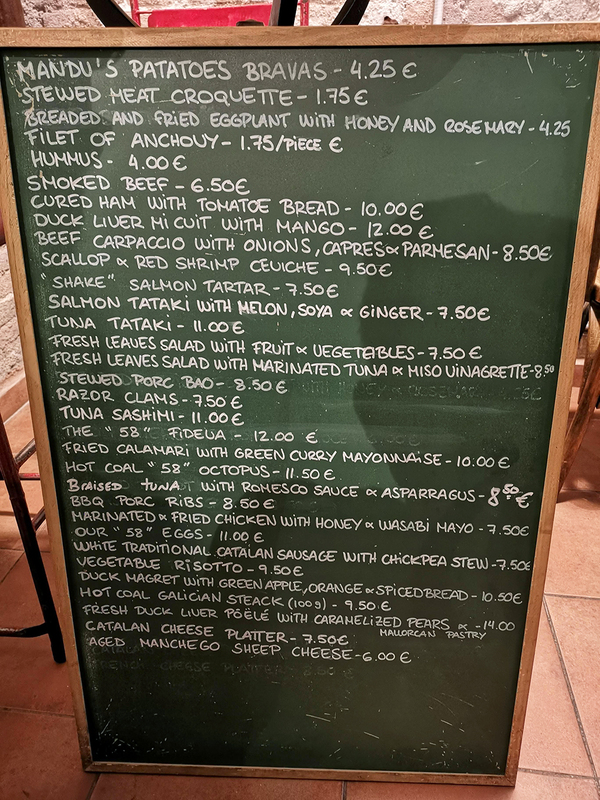 Picture from the restaurant: Menu 1. Type of atmosphere: Elegant, trendy, comfortable.